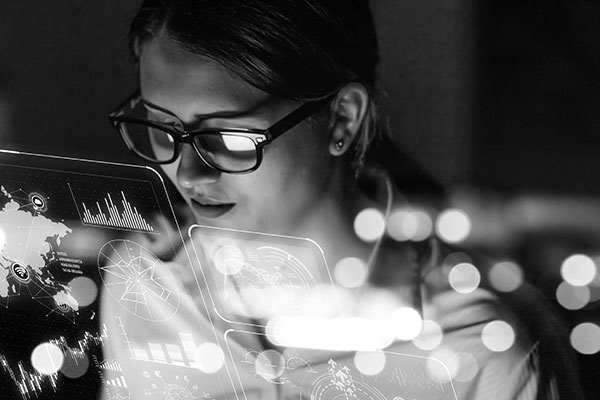 Learn tips to safeguard your customer experience and foster organizational agility as AI creeps into the realm of customer service and B2B interactions. A former OSU linebacker, Stryker Sales Manager Jerry Rudzinski coaches his team to high employee engagement scores -- and double-digit sales growth. The authors of Strengths Based Selling tell how even great salespeople need self-awareness and support, how salespeople can develop their talents and strengths, and why flawed thinking about the sales process inspired them to write their book. What are the strengths of salespeople, and how can organizations develop them? What do great sales managers do differently? The authors of Strengths Based Selling tackle these and other matters, including: why money is overrated as a motivator. In a business world in which clients have many choices and products aren't often sharply differentiated, customers demand strategic thinking, emotional connections, and critical information. Providing that mix demands all of a sales rep's talents. In a tough economy, sales teams are under even greater pressure to perform. But how do organizations quantify their reps’ success? The majority of sales managers and leaders base their replies on one indicator: revenue generated. That might be far too one-dimensional. Salespeople in the field have the same need to emotionally attach to their workplace as other workers do, and the best companies know how to engage them regardless of how difficult it might be. Hindustan Unilever Limited in India is one of those companies. Since the financial crisis began last year, more than 30 banks have gone under in the United States alone. U.S. Bank’s financials, however, remain fundamentally sound, thanks to its conservative lending practices and an intense focus on people. Measuring internal customer service is driving positive results in one of the world's biggest medical equipment companies. This profile of a major division of Stryker -- with 1,800 employees in 21 countries who speak almost two dozen different languages -- reveals how. There isn't a perfect route to employee engagement, a single path that passes from manager to employee to productivity to profit. Instead, there are as many effective ways to manage people to attain high performance as there are great managers. Want proof? Here's the story of two managers with very different styles, both of whom have become highly successful with the same company, Mars Incorporated. Many managers dread having to give performance reviews, and many employees equally dread receiving them. A manager in Belgium, one of the highest rated supervisors in Gallup's global database, has solved this problem by not making such a big deal about the reviews. Rather, he gives his workers insightful and personal feedback throughout the year. This approach has proven very effective for his team and has earned the veteran manager accolades. Would his approach work for you? There's nothing more crucial to success in business than being able to influence other people. Salespeople must influence customers; executives need to influence their workforces. But rather than insincerely "laying on the charm" to influence people, try using your innate talents instead. Donald Trump would probably agree: Firing poor performers isn't just good for business, it's necessary -- especially if your goal is to continually improve the quality and performance of your sales organization. The hard truth is that each year, some salespeople need to get the ax. Who is the most successful salesperson on your team? The one with the best product knowledge? Or the greatest sales skills? Or the most in-depth understanding of your customers? If you picked any of these, you were wrong. Rather than guess what drives sales success, learn the right answer from America's best sales force. That's just one of the myths that decrease the effectiveness of your sales force. The fact is, top performers are no taller, no thinner, and no more attractive than average reps. And those great salespeople don't necessarily have a better education or more experience either. Beware of the "glare" factor. Most executives believe that high customer satisfaction scores correlate with sustainable growth. Conversely, significant drops in scores should link to declines in growth. But this isn't necessarily so. In fact, executives who are obsessed with satisfaction are focusing on the wrong metric. Confused? Read this article.